PESHAWAR/KARACHI: The newly sworn-in assemblies of Khyber Pakhtunkhwa (KP) and Sindh on Thursday elected their chief ministers for the next five years with the Pakistan Tehreek-e-Insaf (PTI) grabbing the top slot in KP and the Pakistan People’s Party (PPP) clinching the position in Sindh. In the KP Assembly, where the PTI had grabbed the speaker and deputy speaker’s slots on Wednesday, the party’s nominee Mahmood Khan — former provincial minister for sports — was elected comfortably as the 22nd Leader of the House. Khan hails from Swat and holds a master’s degree in agriculture. He was elected from the PK-9 seat in 2018 and has been a member of the PTI since 2012. He has served as a minister for sports, irrigation, tourism and the provincial interior minister. The opposition Muttahida Majlis-e-Amal (MMA) had fielded Mian Nisar Gul to contest against Mahmood. The contest was one-sided as the PTI has a comfortable majority in the provincial assembly and grabbed the CM’s slot for a second consecutive term, unprecedented in the province’s political history. The chief minister was elected through the division of the house system. 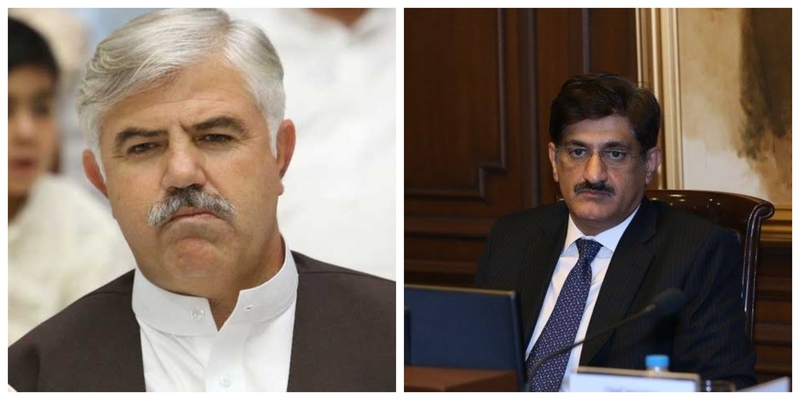 All MPAs who supported Mian Nisar Gul’s candidature were asked to move to Lobby 1, while all in support of Mahmood Khan were asked to move to Lobby 2 of the KP Assembly building. There was a headcount of supporters, with Mahmood Khan elected CM of Khyber Pakhtunkhwa with 77 votes to Mian Nisar Gul’s 33. Newly-elected KP Assembly Speaker Mushtaq Ghani presided over the proceedings. After his election as chief minister, Khan said he was being criticised for the sake of it. He stressed that the party did not win with the support of the ‘third hand’ but because people placed their trust in Imran Khan’s 22 years of struggle. Speaking about the next five years, the newly-elected CM announced a war against corruption in the province. The chief minister also promised to protect minorities and to invest in human resource, education and health. On erstwhile Federally Administered Tribal Areas’s (FATA) merger with KP, Mahmood sought the opposition’s support to resolve issues in accordance with the wishes of tribal people. PPP’s Murad Ali Shah was re-elected as chief minister of Sindh for his second consecutive term after comfortably winning against joint opposition candidate Shaharyar Mahar. Shah bagged 97 votes while Mahar attained 67 votes during the voting process. The session commenced with Agha Siraj Durrani in the chair and members were divided according to the candidate they were supporting. Gate 1 was designated for PPP supporting lawmakers while Gate 2 was for opposition members. After collecting their ballot papers from the speaker’s desk, members of the House gathered at their respective gates to support their candidates of choice. The ballot papers were submitted at the gates to assembly staff and were then counted by staff. After the votes were counted, the speaker rang the bell and the winning candidate was announced. The PPP had nominated former chief minister Murad Ali Shah and the opposition parties agreed on Grand Democratic Alliance’s Sheharyar Mahar. During the July 25 polls, Shah won PS-80 Jamshoro-I seat. He has served as provincial minister for irrigation and finance before being appointed Sindh chief minister in 2016. There are a total of 168 seats in the assembly. Around 130 MPAs have been elected to the provincial assembly on general seats, while the remaining reserved seats for women and minorities have been divided among political parties according to their numbers on general seats. According to the notified results, the PPP won 75 general seats, in addition to 17 women seats and five minority seats, bringing its total strength in the assembly to 97. The PTI has 23 general, five women and two minority seats, making a total of 30. The Muttahida Qaumi Movement-Pakistan (MQM-P) has a total of 21 MPAs, which include 16 on general seats, four on women reserved seats and one minority member. The fourth largest party in the House is the GDA with a total of 13 MPAs, with 10 on general seats, two on women and one minority member. The Tehreek-e-Labbaik Pakistan (TLP) will have three MPAs in the Sindh Assembly with two on general seats and one female member, while a single MPA elected on general seats will represent the Muttahida Majlis-e-Amal.